The ex-Senator has already pleaded guilty to making a false expenses claims. Ivor Callely at court today. THE SENTENCING of former Senator and Junior Minister Ivor Callely has been delayed until next week so legislation can be consulted. The court today heard from two character witnesses this afternoon before Judge Mary Ellen Ring pushed back sentencing to next Monday. The first character witness said she knew the defendant for 25 years but did not recognise him today. His legal team noted that Callely was in court to “take his medicine” but asked for a non-custodial sentence to be applied. His solicitors had said their client had “taken a shortcut in putting in bogus receipts” rather than “meticulously go back and try and work [them] out”. Earlier, Justice Ring vented her displeasure that Callely’s counsel was not available in full in court. The former Fianna Fáil TD pleaded guilty in March to making a false expenses claim. He had faced six counts of using invoices from three phone companies as false instruments at Leinster House. The Garda Bureau of Fraud Investigation had launched an investigation into Callely after newspaper claims that the former Fianna Fáil TD had submitted expenses claims in 2007 for receipts dated 2002 and 2006 from a company that had ceased trading in 1994. Sentencing resumes at 9.30am on 28 July. Email “No decision yet: Sentencing of former minister Ivor Callely delayed”. 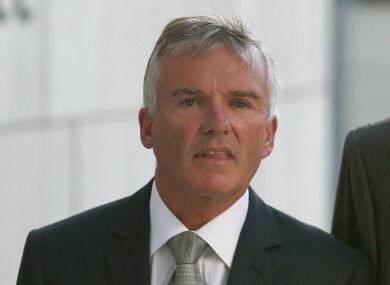 Feedback on “No decision yet: Sentencing of former minister Ivor Callely delayed”.